It’s a challenge every year to find the perfect tree. 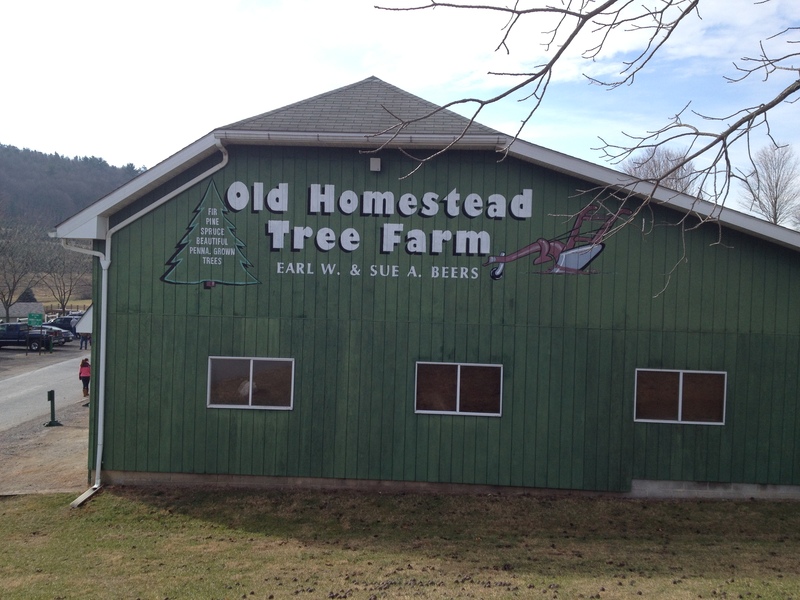 Each year we head off to the Old Homestead Tree Farm in Lehighton, PA in order to accomplish this challenge. Off into the fields of trees we go and each year I think “This is the year I find my tree in 10 minutes.” Of course I never find the tree in ten minutes more like 60 minutes. It all starts with the annual debate over what type of tree we should get. I insist we always get a blue spruce because of the sturdy branches and he argues that I am wrong that it’s fraser fur. By this time my mother and father in-law as well as my sister in-law and her family have already found their perfect trees and are in the process of cutting it down while we are still debating which type of tree to get. Once we agree on fraser fur the hunt it is on. 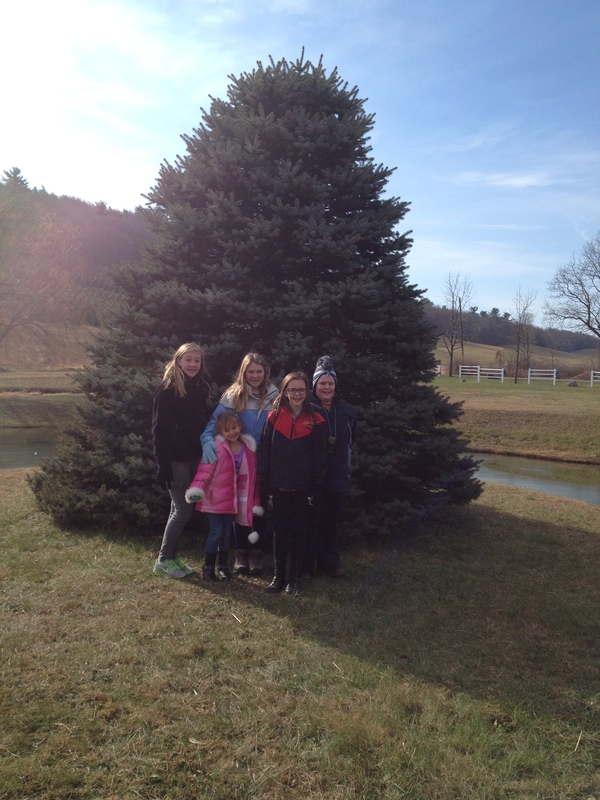 So naturally the pressure starts to build and sometimes a few tears are shed as we argue over which tree to choose. The second argument is over size. I imagine I live in a castle and would like a ten foot tree. My husband, more based in reality, tries to persuade me by yelling that it will never fit in the house. Meanwhile the kids lose interest in helping us and head off to check out how the other family members are doing. More likely than not they are done and waiting for us. All the trees are beautiful but it is so difficult to find the perfect tree. We walk up and down the aisles with measuring sticks in hand and hunt for a tree that is both fabulous and that we can both agree on. They are either too skinny, too fat, too short or too tall. Eventually a tree is chosen and my part is done now my husband has to cut it down. Now since height is a huge issue for me I continually remind him while he is cutting to cut it close to the ground so as not to lose any height. As you might have guessed that doesn’t go over real well. 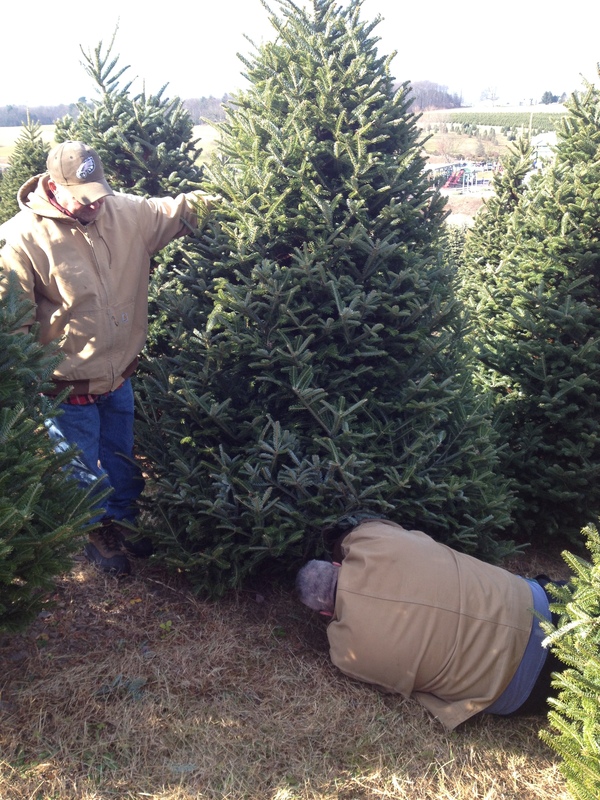 My husband cutting down the tree and my father in-law supervising. Once the tree is down we haul it to the main building. There they take our “perfect tree” and shake it to knock off all the lose and dead needles and from there it goes through the bundler. All of these things you can find at any tree farm, but what sets The Old Homestead apart from the other tree farms is that they drill the trees. Anyone who has experienced the heartbreak of a fallen tree can appreciate this. Fallen Christmas Trees are horrible with broken glass, broken branches and they are a huge mess to clean up. At The Old Homestead each tree is centered and drilled to be placed on a spiked tree stand, that can be purchased there. Putting up the tree when we get home is a breeze. It’s been centered and drilled so we pop it on the stand and it is both straight and sturdy. The grounds are really scenic and there are many nice spots for photo ops. 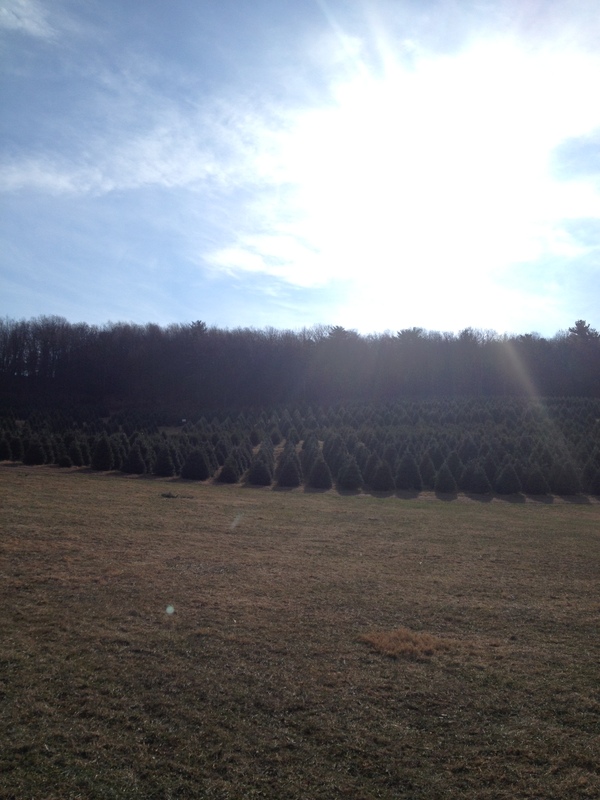 The Old Homestead is the greatest tree farm. It is such a fun family friendly business. They have wreaths, bows, and stands and even a food truck like you would find at a carnival with things like chicken & fried oreos. Best off all are the prices my tree was 8ft and cost $42. If had bought an 8ft tree on Long Island it would have cost way more and not been as fresh. 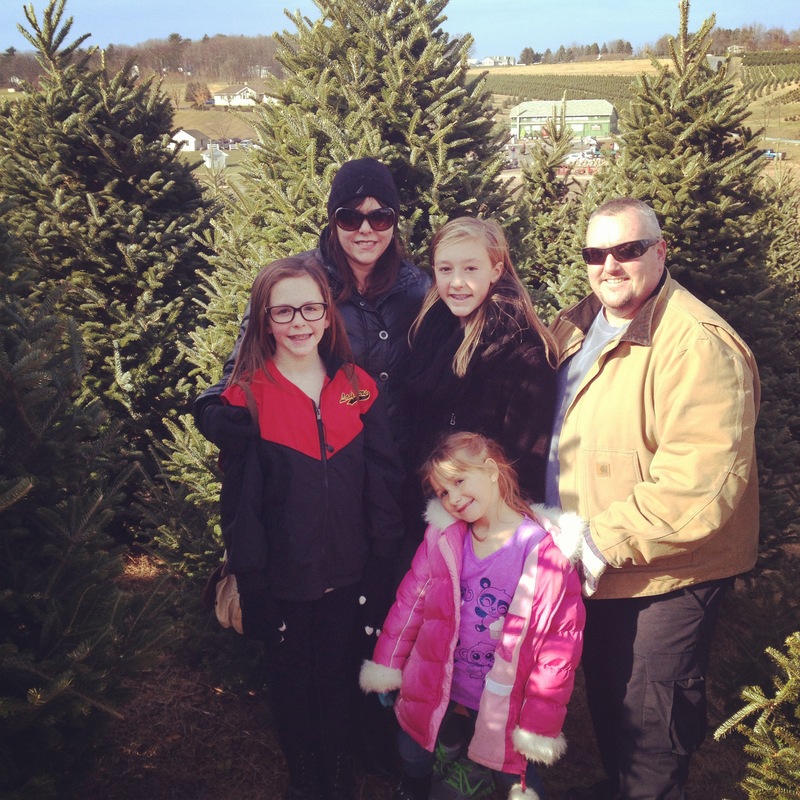 This entry was posted in Family, Family Fun, Holidays, Life and tagged christmas tree, Cut down your own tree, fresh cut trees, holiday traditions, Old Homestead Tree Farm, perfect tree, Tree. Bookmark the permalink.